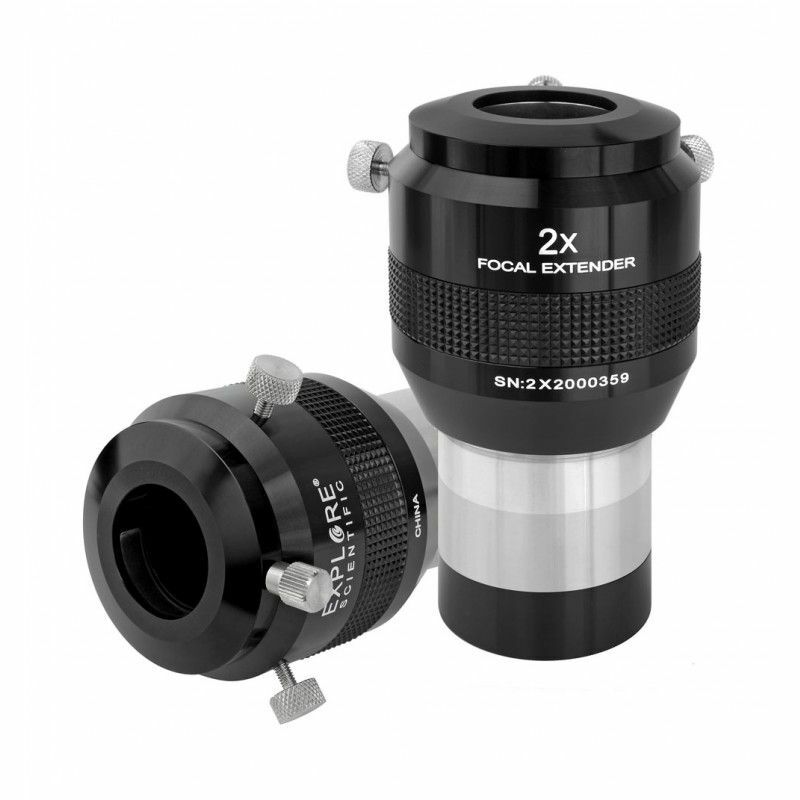 Explore Scientific 2x Barlow - Focal Extender 2.0"
These Explore Scientific tele extenders incorporate a telecentric optical design that delivers a excellent image sharpness over the whole field of view. With tele extenders it is possible to extend the effective focal length of a telescope system, resulting in higher magnification for the observation of the moon, the planets or small Deep-Sky objects with the same eyepieces. So you can use the advantages of eyepieces with longer focal length - such as the bigger eye distance and the more relaxed observing comfort - at high magnifications also. These tele extenders incorporate a telecentric optical design that delivers a excellent image sharpness over the whole field of view and are premium choices for visual observations and astrophotography. The combination of excellent fully With tele extenders it is possible to extend the effective focal length of a telescope system, resulting in higher magnification for the observation of the moon, the planets or small Deep-Sky objects with the same eyepieces. So you can use the advantages of eyepieces with longer focal length - such as the bigger eye distance and the more relaxed observing comfort - at high magnifications also. These tele extenders incorporate a telecentric optical design that deliveres a excellent image sharpness over the whole field of view and are premium choices for visual observations and astrophotography. 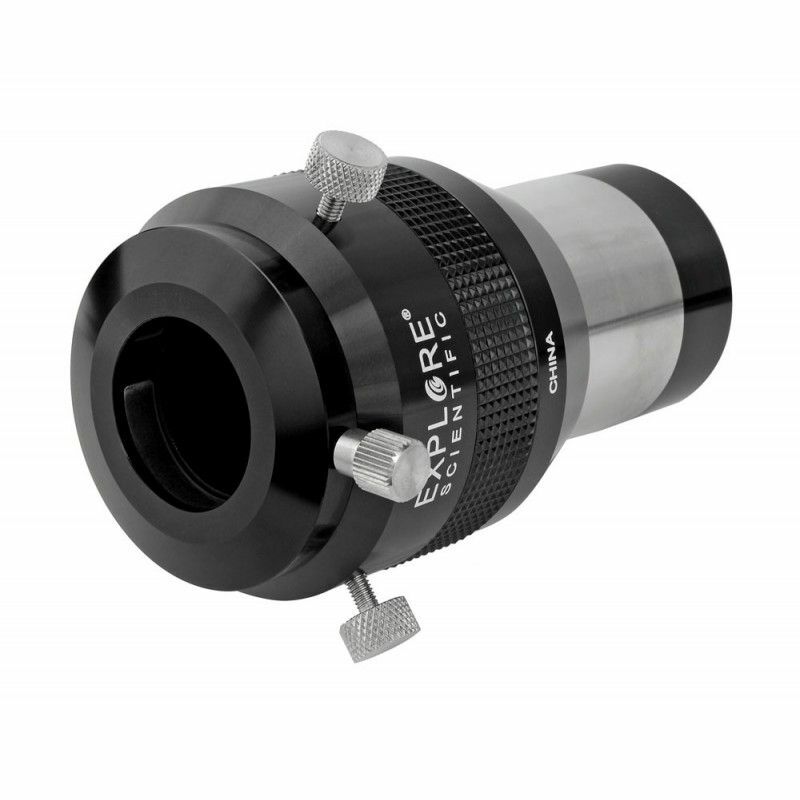 The combination of excellent fully multi coating with superior optical design makes the Focal Extenders superior to classic Barlow lenses. 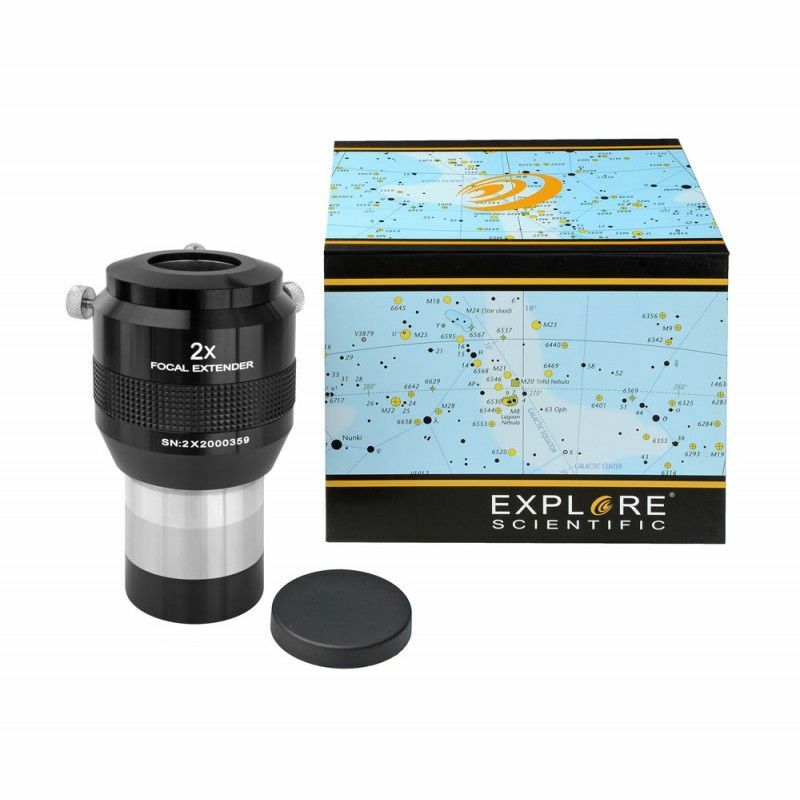 Filter thread for color or nebula filters with superior optical design makes the Focal Extenders superior to classic Barlow lenses.